The Marine rifle combat optic, or RCO, is the standard 4X magnification sight Marines use for M16A4 rifles and M4 carbines. 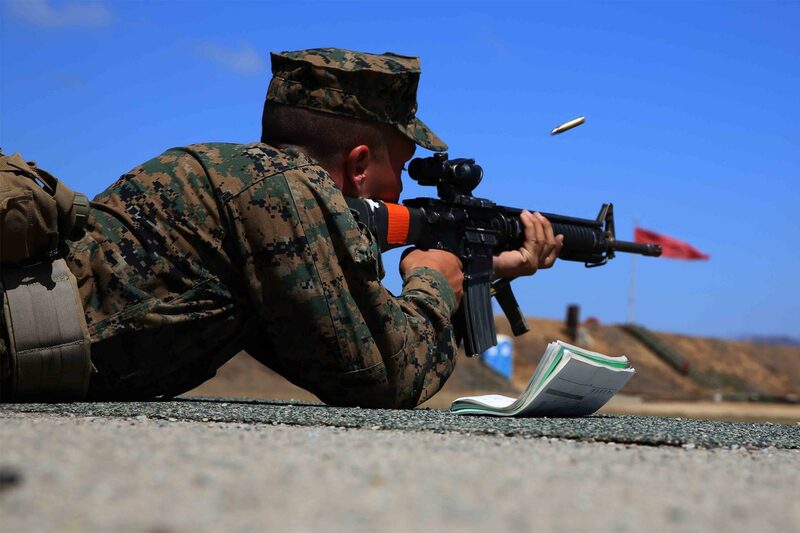 The sea service is now experiencing “RCO shortages due to a combination of service life expiration and breakage,” according to the message, which describes the findings of the Marines’ recent 2019 Combat Marksmanship Symposium. “Based on the current sustainment model, the shortfall will have a critical impact on both Marine Corps Recruit Depot Parris Island and The Basic School within 6 months and Weapons and Field Training Battalion, Edson Range within 12 months,” the message states. The RCO is a version of Trijicon’s advanced combat optical gunsight, or ACOG. It relies on a dual-illumination technology that uses a combination of fiber optics and self-luminous tritium, which results in a continuous illumination of the aiming point without the need for batteries, according to Trijicon’s website. “The unique reticle pattern provides quick target acquisition at close combat ranges while providing enhanced target identification and hit probability out to 800 meters,” the website states. “This highlights a need to develop a use and care policy for [entry-level training] in order to reduce shortfalls and a long-term sustainment model for the total force,” the message states.